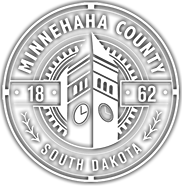 Minnehaha County recognizes the need of implementing government services that are available for individuals who are disabled and has attempted to design the minnehahacounty.org website to be accessible for everyone. This website was programmed to comply with both the Americans With Disability act and the Priority 1 Level Checkpoints of the W3C Web Content Accessibility Guidelines 1.0. Users who wish to find more information about these guidelines can do so at W3C. Minnehaha County will continue to test future releases of this website and will adhere to compliance and serving the wide array of constituents of Minnehaha County.